Get ready marketers: winter is coming. The holiday season is quickly approaching, and with it will come the annual flood of themed products, messaging, sales, and content from brands. As you gear up for this most wonderful (and busy) time of year, what should you be thinking about? Which changes in consumer behavior could have a big impact on sales and engagement? Yesmail Interactive recently undertook the massive task of examining data from millions of holiday-themed emails sent by brands in 2014 and 2015. One of the main learnings from the analysis was that the timing of campaigns significantly impacts engagement levels. For example, Christmas-themed campaigns sent in the two weeks immediately before the holiday had 3% higher open rates, on average, compared with non-themed messages. In contrast, Christmas campaigns sent earlier, in the first two weeks of December, had 6% lower open rates. A key thing to note is that these ebbs and flows in engagement varied depending on the specific holiday/date. For Cyber Monday emails, open rates were lower than average on the days after; in contrast, for Black Friday, open rates were actually higher on the days following. What this means is that you should think long and hard about the timing of your holiday campaigns. Deploying them earlier or later could have a huge impact. Have holiday shoppers abandoned traditional retail channels for digital ones? For the most part, not yet. According to U.S. Census data, 92% of all fourth quarter sales in 2015 occurred in brick-and-mortar stores. However, while digital retail remains small relative to in-person, it’s growing rapidly—online’s share of fourth quarter sales jumped by 47% between 2011 and 2015. The adoption of digital tools to aid with making purchase decisions has been even broader. A UPS poll found that 69% of consumers say they use their mobile phones for shopping-related activities such as comparing prices and searching for coupons. Put simply, holiday shopping has become truly omnichannel. Some 71% of consumers say they purchase their winter season gifts using a combination of in-store and online channels. That’s why it’s necessary to focus on integrating your digital and non-digital offerings; a seamless experience is increasingly what consumers demand. Everybody loves a big, beautifully wrapped present for the holidays, right? Not necessarily. A Marin Software survey found that 69% of consumers say they actually prefer gift cards to physical gifts. That is part of a wider trend of changing tastes. Increasingly, people want more freedom to purchase what they want, when they want it—hence the love of gift cards. They also increasingly like intangibles over physical objects. An NRF poll found that more than one-third (36%) of 18–24 year olds gave experiences (trips, spa visits, etc.) as gifts last year, and more than half (55%) say want to receive experiences as gifts. If you want to appeal to consumers—especially younger ones—this holiday season and in the future, it’s important to keep these evolving preferences in mind. It may be time to focus on your gift card program and any experiential offerings. Are most holiday shoppers early birds? Nope. Google/Ipsos data shows that only 48% of consumers have all of their gift purchases completed by Cyber Monday. Why do people wait? Consumers say they hold off for multiple reasons, including because they’re still weighing their choices between gifts (44.8%), because friends and family haven’t given them enough ideas (29%), because they’re anticipating better deals (22%), and because they’re simply procrastinating (21%). Moreover, 66% of holiday shoppers say they check out sales after December 25, with 47% visiting stores in person during the week following Christmas and 43% shopping online. Given that behavior, it’s important to not let up with your holiday messaging. Appeal to early shoppers, for sure, but then also continue through the heart of the season and beyond. Those last-minute shoppers are plentiful—and also often highly motivated. Finally, don’t forget this simple fact: holiday shopping can be stressful and difficult for many people. In fact, some 17% of consumers say the experience is so bad that they actively dread/intensely dislike looking for holiday presents. Why is this? Partially it’s because of traditional issues such as the expense and the crowds. However, it’s also due to a very modern problem: there are so many new products and ways to shop, that consumers feel overwhelmed. That’s why searches on mobile for the “best” products are up 50%, according to Google data; people desperately want help sorting through all their options so they can quickly find the right gifts. So if you want to please consumers this holiday season, do something very simple: make their lives easier. How? The best way is by giving quick access to the information people need to make decisions. For example, consumers say the features they value most in e-commerce mobile apps are product reviews, high-quality images, and good search features. This sort of functionality may not be flashy, but it’s what consumers value. In other words, it’s a gift that your audiences will truly appreciate this holiday season. 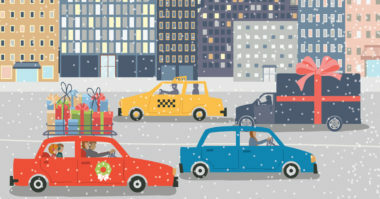 Stay up to date on 2016 holiday marketing trends. Contact MDG Advertising today at 561-338-7797 or visit mdgadvertising.com. MDG Advertising, a full-service advertising agency with offices in Boca Raton and New York, NY, is one of Florida’s top hospitality marketing companies and branding firms. MDG’s core capabilities include advertising, branding, logo design, creative, infographic development, digital marketing, creative media planning and buying, radio and TV advertising, website design and development, email marketing, mobile marketing, content marketing, social media marketing, and SEO. To stay on top of the latest trends in hospitality marketing and advertising, contact MDG Advertising today at 561-338-7797 or visit mdgadvertising.com.